Magyarul a múlt heti Élet és Irodalomban (LVIII. évfolyam, 21. szám, 2014. május 23.) olvasható. Felelős állampolgároknak erősen ajánlott. Nem felelőseknek még inkább. The Peterson Institute for International Relations (USA) and the School of Public Policy at the Central European University (Hungary) held a conference on “Transition in Perspective: 25 Years after the Fall of Communism” in Budapest on May 6 and 7, 2014. 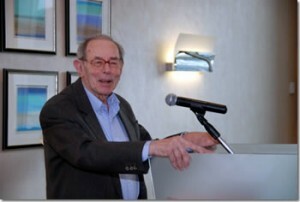 Among the attendees were Leszek Balcerowicz, Václav Klaus, Anatoly Chubais, and many other well-known economic policymakers and academic economists of the post-socialist transition period. 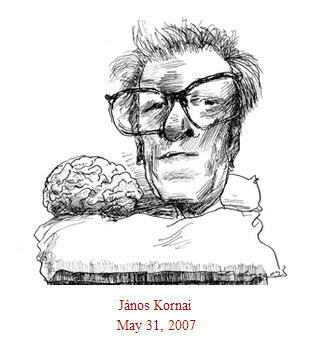 This is the text of János Kornai’s keynote address. I would really like to give a cheerful and optimistic talk. I was optimistic when I was working on my book The Road to a Free Economy in 1989. I undertook comprehensive evaluations of the post-socialist transformation later, on various occasions, and although all the essays pointed out the problems, they always ended on a note of optimism. Even today, there are several developments that may give grounds for satisfaction: in many countries in Central-Eastern Europe and in the Baltic regions dictatorship has been replaced by democracy, the command economy by the market economy, socialism by capitalism. My sentiments, however, are overcast by two depressing developments. I am Hungarian – my mind can barely stop processing the uninterrupted flow of gloomy news for a second. Hungary was moving forward on the path of democratic development for 20 years. People were tormented by various troubles, however, it was to be hoped that sooner or later we would manage to overcome these too. But the situation changed for the worse in 2010, when the political forces leading the country performed a U-turn. Instead of the strengthening of democracy we saw the abolition or drastic restriction of numerous fundamental institutions of democracy. Instead of private property being reinforced, the security of private property came under attack. Instead of continuing decentralization, the tendency to centralize was revived. A cikk teljes szövege idekattintva olvasható.